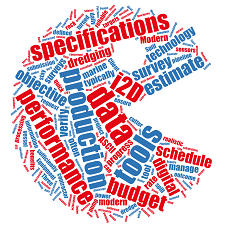 The software program from in2Dredging (i2D), Pumps ‘n Pipeline (PnP v1.4), is an advanced and highly intuitive estimating tool. 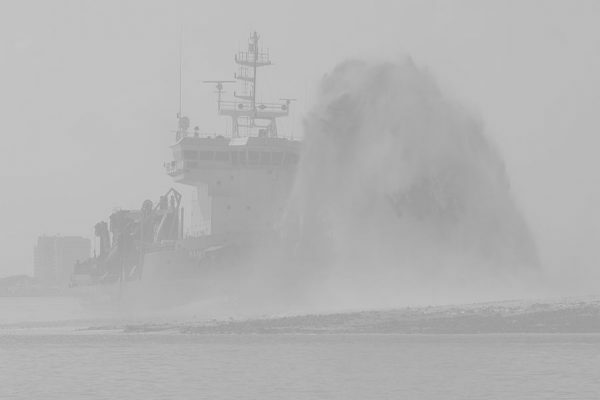 PnP can accurately estimate suction and discharge production for any dredging or mining equipment that hydraulically transports soil-like materials. 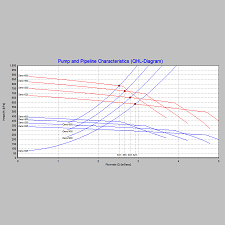 The program is an analytical tool, which accurately simulates pump behaviour and pipeline pressure losses for most soil mixtures. PnP has been developed using a century of literature and decades of field measurements. 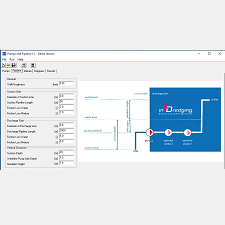 PnP’s Graphical User Interface (GUI) and graphical results are derived from practical estimating experience. The tool is made by dredging professionals for dredging professionals, but the graphical user interface is intuitive and simple enabling quick estimates. Therefore, PnP has the flexibility to suit most projects or equipment. PnP requires only the most relevant input parameters to produce a graph that gives insight into production limitations. PnP estimates production rates reliably. Transforming your estimate into a reliable schedule or robust cost estimate including fuel consumption is easy. Because PnP was designed by dredging professionals rather than software developers, dredging professionals find the program easy to use. 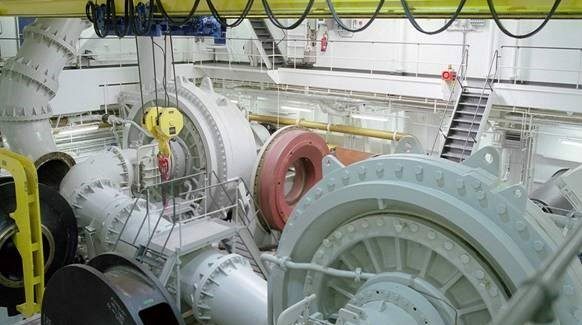 More pumps can be entered when pumps are in series, if the pumps’ characteristics are summated and entered as one pump. i2D can use PnP Expert to overcome these limitations for special, advanced projects, which are less typical. PnP Expert has no graphical user interface. Therefore, it is very flexible, fast to develop and easy to integrate in another estimation tool. Both tools, PnP and PnP Expert, share a similar library that was compared in detail for verification. 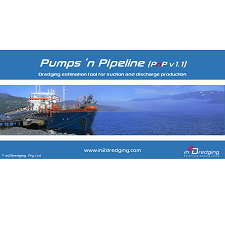 The Pump ‘n Pipeline (PnP) software program including its intellectual property are owned and licensed by in2Dredging Pty Ltd (i2D). i2D can never be held responsible for any events that arise from misusing or even using PnP software that exceed any paid licence fee. We always recommend you get expert advice before acting. 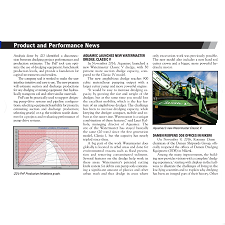 The latest International Dredging Review magazine (January/ February 2017) published a article on in2Dredging’s (i2D’s) Pumps ‘n Pipeline (PnP) program. The article can be found on the new product page. Read more about PnP or download a demo version. When we receive online payment and your hardware identification code on support@in2dredging.com, then you will receive your licensed version including personal license key ASAP but within one business day. The license key enables you to unlock your licensed version on your computer.